ROANOKE, VA (February 12, 2018) — The Member One FCU executive team recently spent half a day volunteering at Feeding America of Southwest Virginia. As part of the Member One benefits package, employees are allowed eight hours per year of paid volunteer time. The executive team led by example and spent a day sorting and processing over 3,600 pounds of food for the hungry. This is the second time the senior leadership team has volunteered at Feeding America of Southwest Virginia. They checked expiration dates, sorted products, and cleaned cans for quality assurance for the clients of the food bank. Each member of the executive team made a commitment to fully use their volunteer time in 2017 and encouraged all employees to use theirs as well. The executive team also volunteered at an area soup kitchen where they served meals. Other Member One employees collectively spent over 100 days volunteering in their communities in 2017. They served at a variety of organizations in Lynchburg, Roanoke, Salem, Vinton, Franklin County, and the New River Valley. 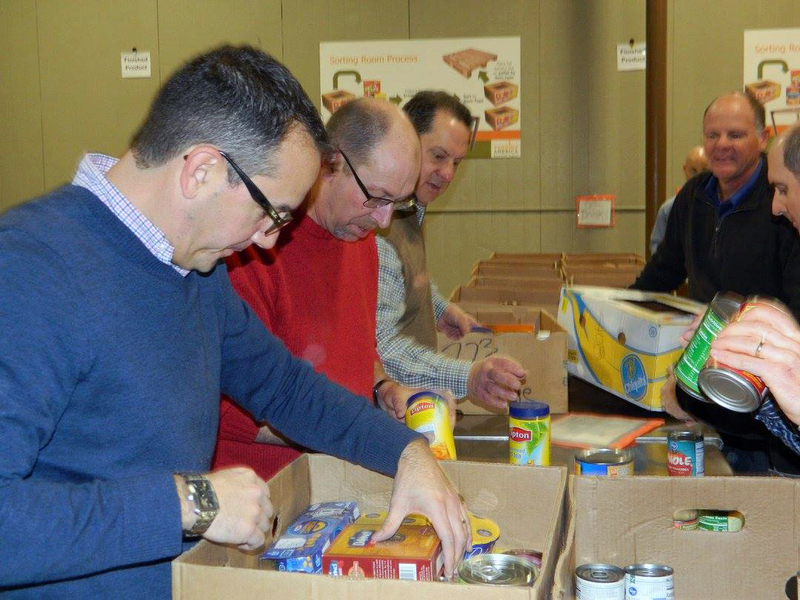 Member One’s Executive Team sorting food at Feeding America Southwest Virginia.